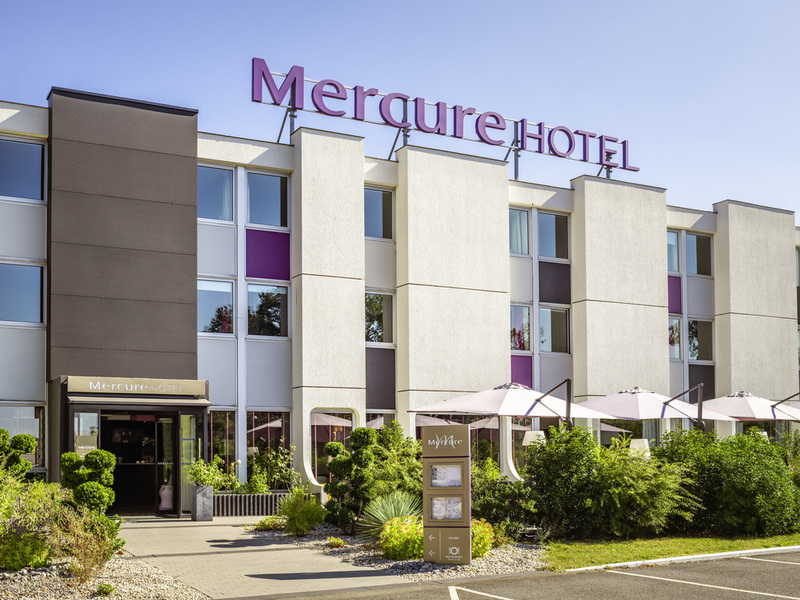 The Mercure Le Mans Batignolles hotel benefits from a peaceful green setting, on the south-western outskirts of the city center, with direct access via the inner ring road. This warm and cozy hotel boasts contemporary designer rooms. After a day of meetin gs or sightseeing, enjoy a meal in the restaurant or on the terrace in the shade of a leafy garden. During a business or family trip, enjoy every moment at the Mercure Le Mans Batignolles to discover the attractions of the countryside and the tourist sites: Plantagenet city, St Julien Cathedral , 24 Hours track. Para aproveitar ao máximo a sua estadia, nossos quartos Standard oferecem um chuveiro e nossos quartos Superior oferecem uma banheira. Relaxe no ambiente aconchegante de nosso quarto Privilege com sua área de lounge! Our restaurant offers a seasonal menu that blends new flavors and colors. Open in the evening from 7pm to 9:30pm. Simple menu served at the weekend in winter. Closed for the Christmas period. Have a drink at the bar or on the terrace and try one of our savory snacks.